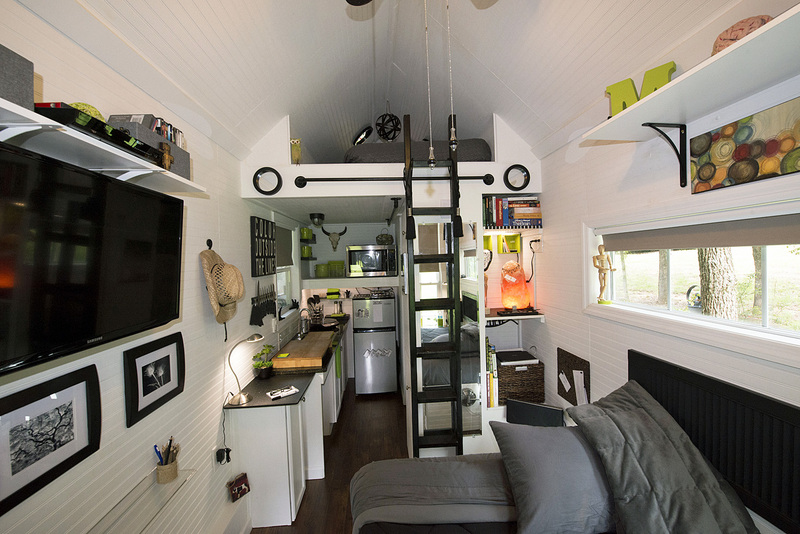 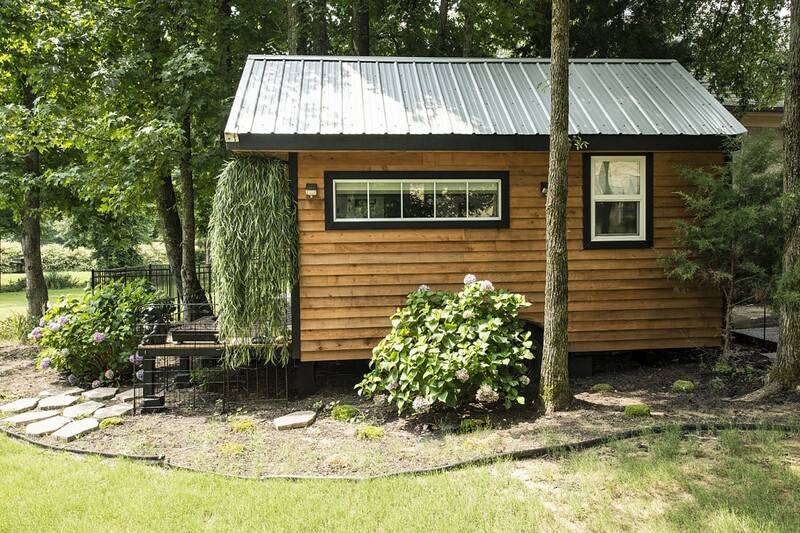 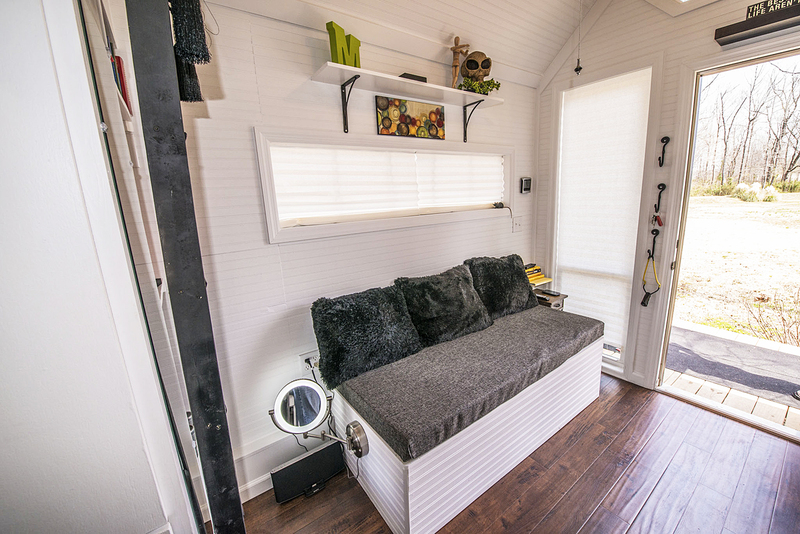 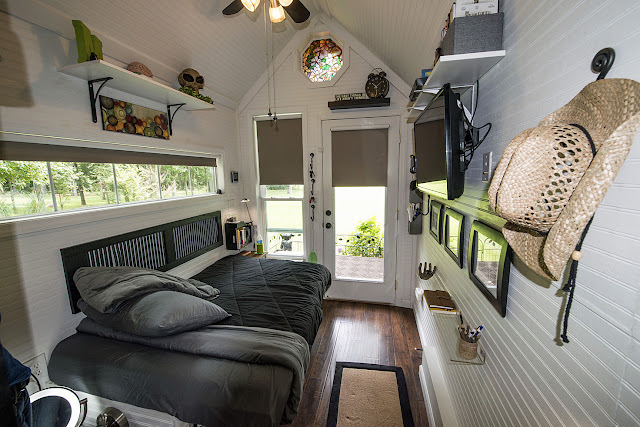 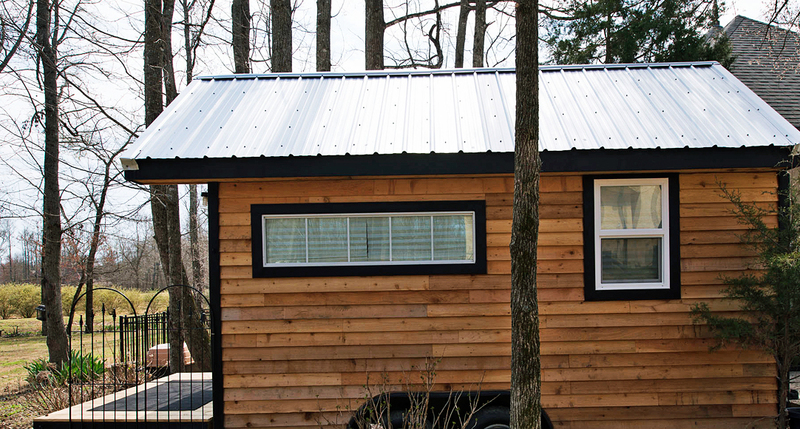 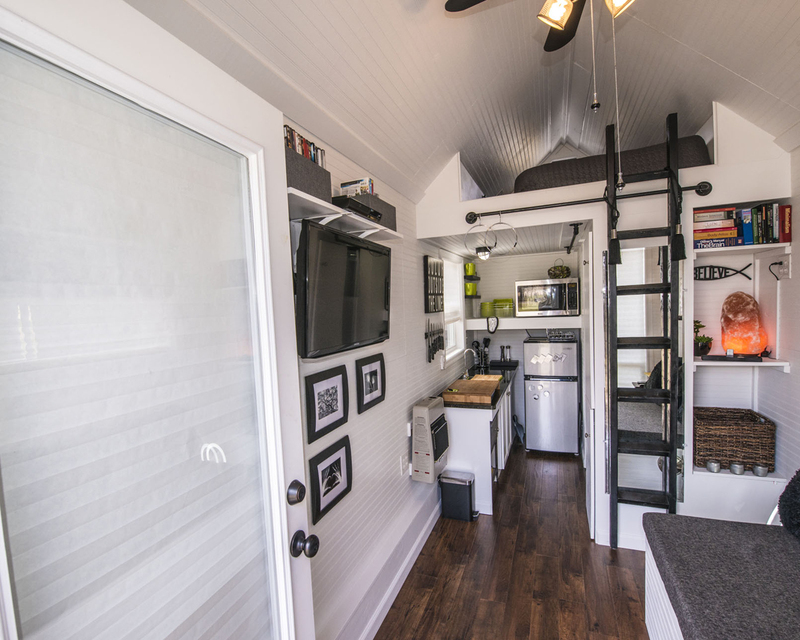 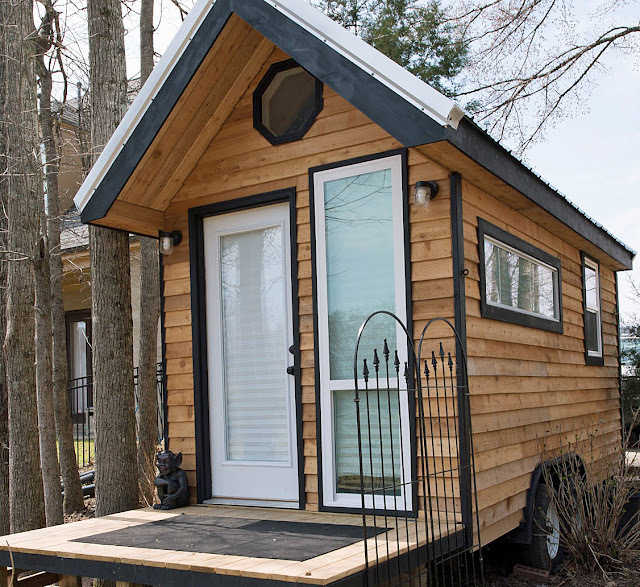 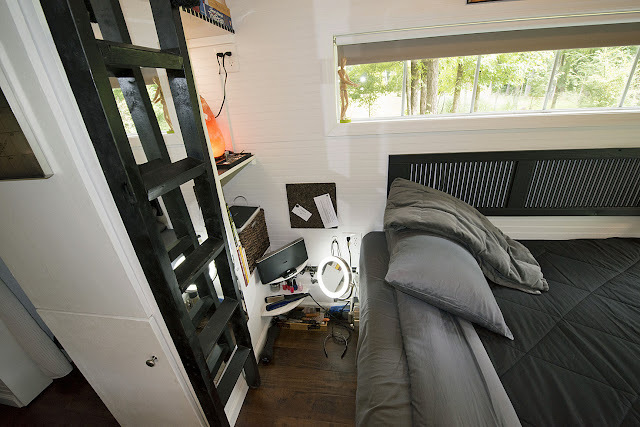 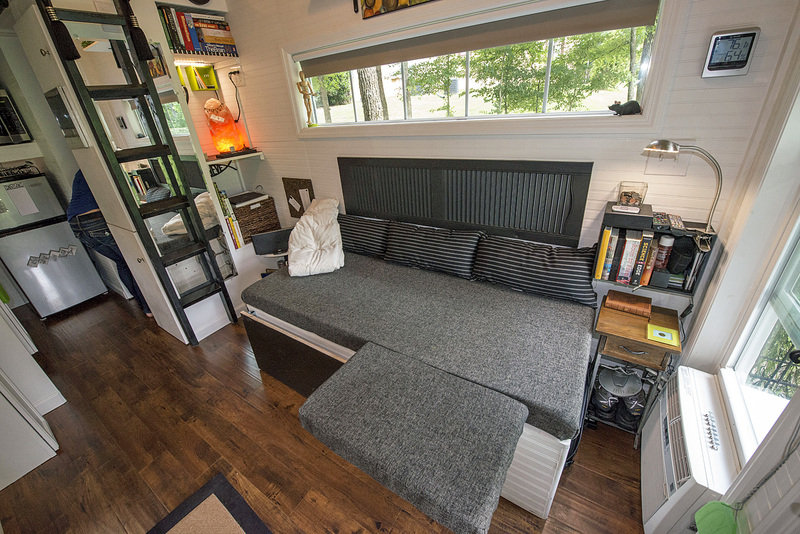 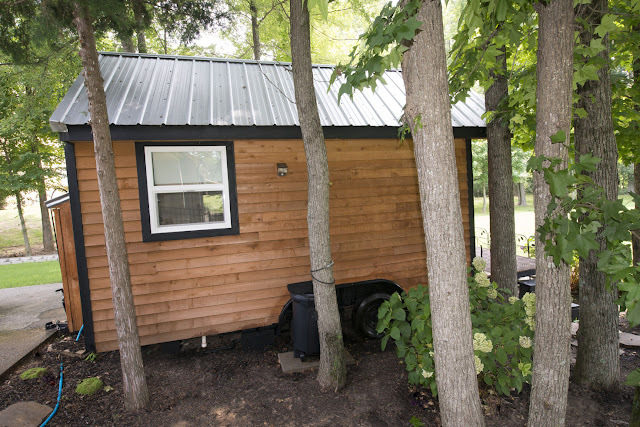 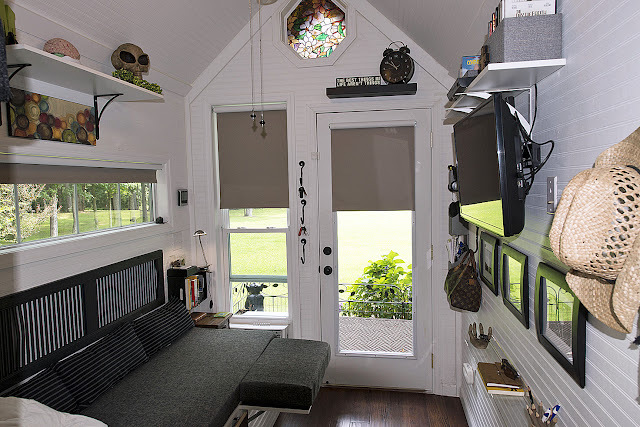 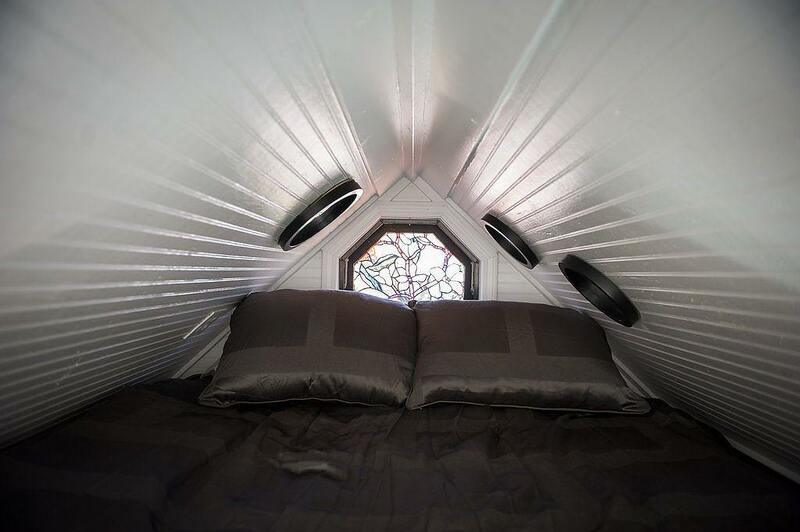 This tiny house on wheels, named the “Mendy’s Tiny Home”, is deigned and built by Tennessee Tiny Homes. 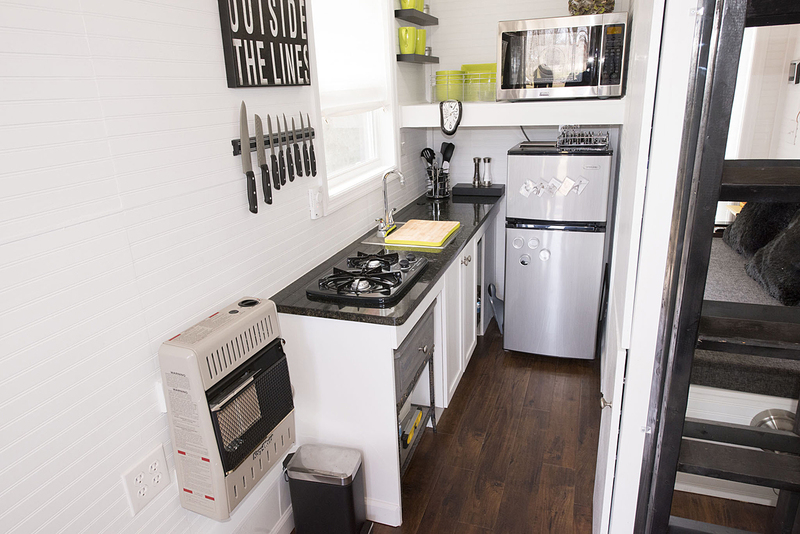 The home is RV compliant and safe for taking with you on roads. Its interior measures 128 sq ft on the ground floor, plus additional space in the loft. 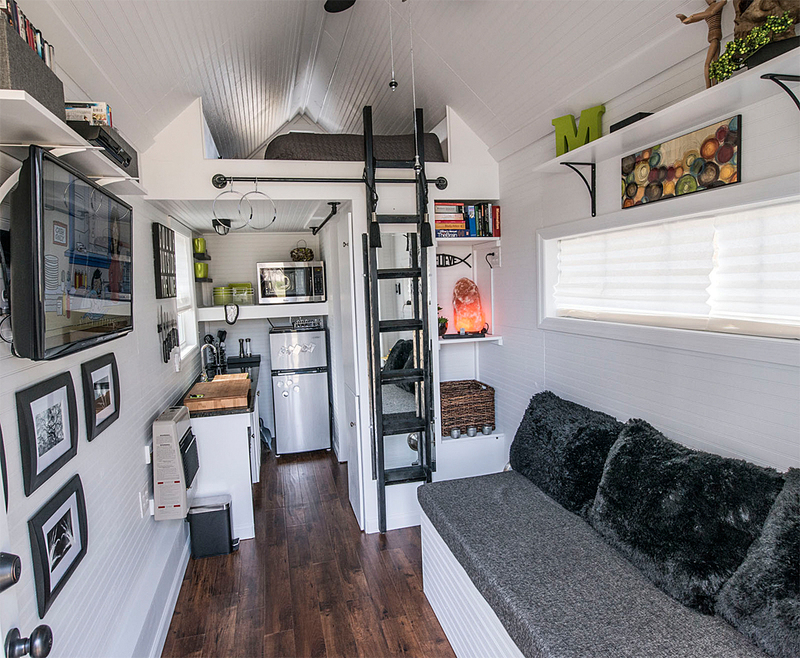 There’s an exterior fold-up porch, a sofa that transforms into a bed, and plenty of storage throughout the home. The home is currently available for resale in Nashville, Tennessee, for $29,500. 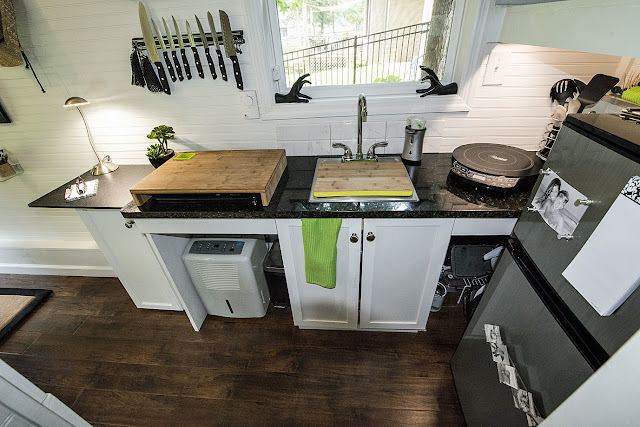 The home’s owner is also willing to negotiate the sale of the home fully furnished with its television, appliances, dishes and glassware, etc.